I love searching for the commonalities across the world; we all eat, we all drink, we all die. There are many shared things between human beings. 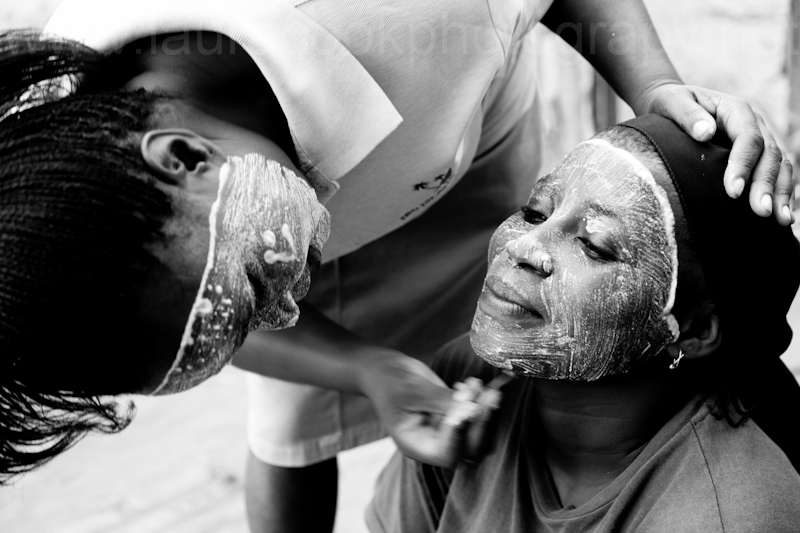 Beauty rituals are carried out worldwide, amongst men and women. 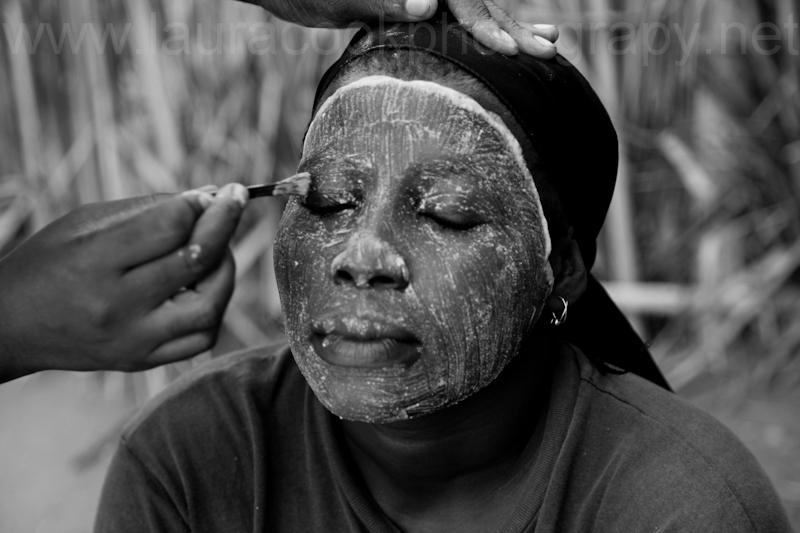 In northern Mozambique many women paint their faces to protect their skin, to appear beautiful and to show their purity and youth. While spending time on Ibo Island, one of the islands of the Quirimbas Archipelago, I found out more about the beauty ritual. The women’s painted mask is akin to a beauty facial or mud mask that women would wear in countries like the UK. It is also worn often by the Mwani women of Ibo and every day during the Muslim festival of Ramadan. However; it is common to see Ibo women in the street or at the market with their faces painted white at other times.